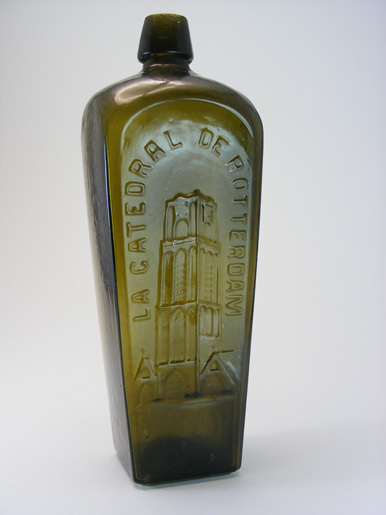 LA CATEDRAL DE ROTTERDAM - note the spelling of the name on the bottle - no "H" in Catedral. This is a Spanish translation. 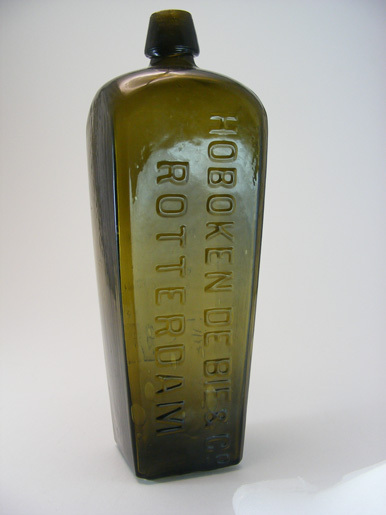 This very desirable gin bottle depicts St Laurens Church in Rotterdam embossed on the side panel. St Laurens Church has a history dating back to 1409, with various stages of construction through to 1655. 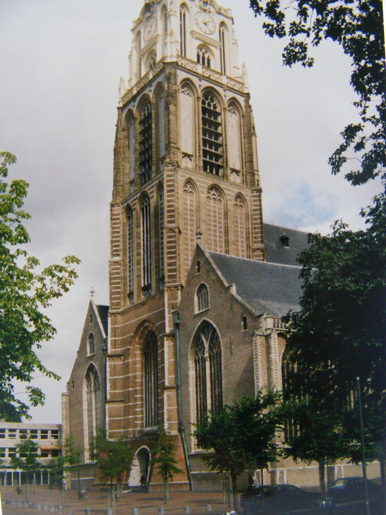 The church survived the bombing of Rotterdam by the Germans in 1940, remaining as a shell amongst the complete destruction of the surrounding buildings in the inner city. The church was completely restored after the war. 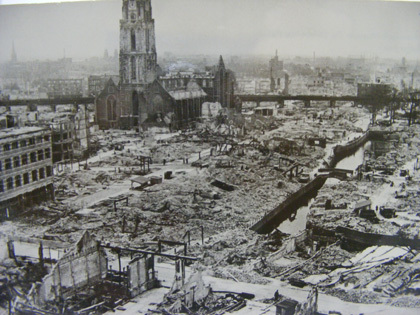 St Laurens Church - still standing amongst the devastation in the town centre, caused by the German bombing of Rotterdam on the 14 May 1940.